This is a category of injectible implants which seek to minimize the muscle function which cause the dynamic wrinkles. So, if no static wrinkles have been formed on the face yet, by immobilizing the muscles responsible for their creation, their full avoidance is achieved. When the static wrinkles have already been formed, the medicine does not allow the muscle movement, which leads to the gradual smoothing and reduction of their depth. This is the No 1 therapy in the world because it can combine spectacular results, minimum application time, a reversible result and low cost. As a result, you will have a “fresher” face for a long time. The procedure takes just 10 minutes! With the use of a microscopic needle, a small quantity of the medicine is injected in the areas specified by the doctor. It is a relatively painless therapy (there is usually an instant discomfort at the spots treated). You can return to your daily activities after the therapy. The results of the therapy start to be visible after about a week. The therapy is revised every 4-6 months to retain the result and not allow the wrinkles to reappear. In most cases, the gap between the therapies is raised, as we “forget” to make the movements that cause the wrinkles. 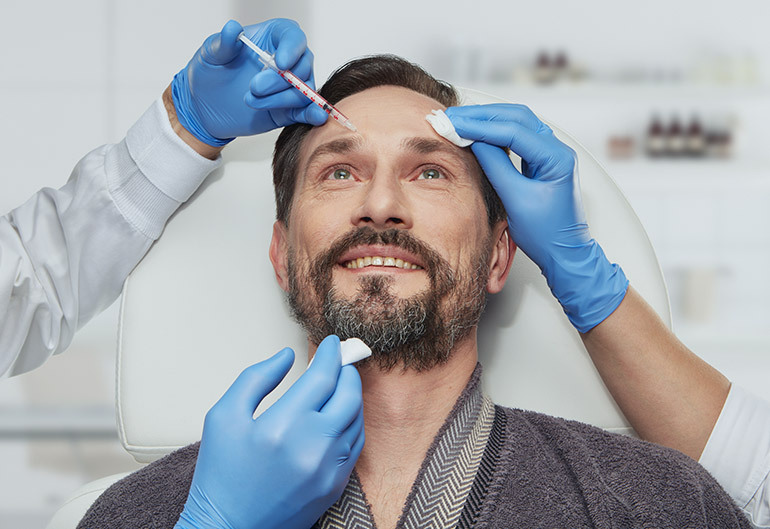 The ideal age to start the therapy varies from person to person, as the creation of the wrinkles is not based solely on age, but on the skin quality and the facial muscle formation. Thus we often try to act precautionary, so as to adjurn or deter the appearance of the wrinkles. The results are fully reversible so there are no permanent side-effects.